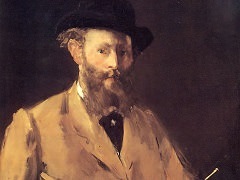 The Spanish Singer was painted in 1860 by the then little-known Manet caused such a stir among younger artists that they paid a group visit to his studio. 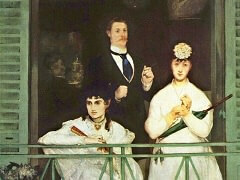 Although those artists may have been excited about Manet's novel technique, what concerns us is his meaning. Once again, it is the problems that others complain about that helps pave our way. 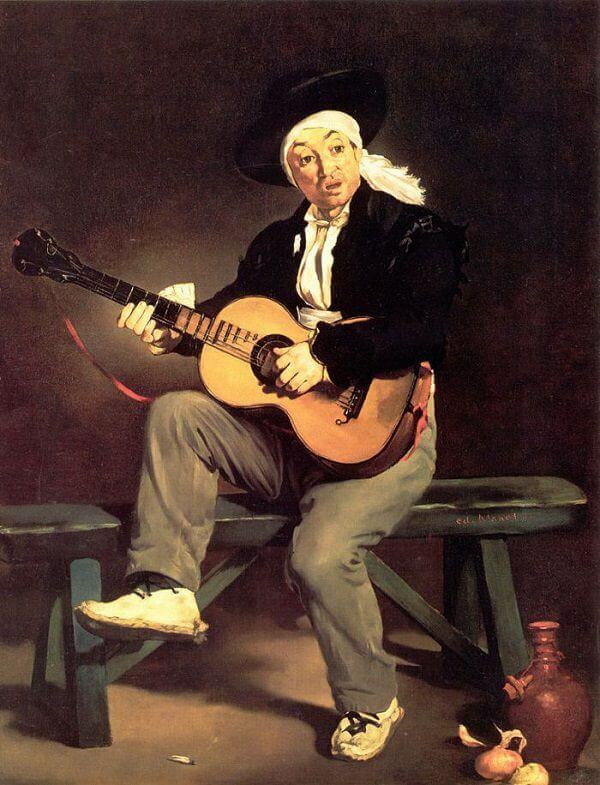 Although the figure of the singing guitarist seems Spanish even contemporaries noted that the costume was inauthentic and that he seemed posed in a studio. 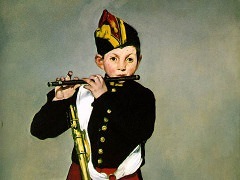 One criticized "the Marseilles-type jacket and the pants of this guitarrero from Montmartre." 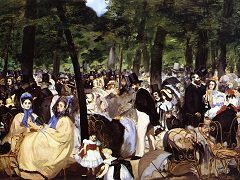 Art critic Emile Zola remarked that while Manet's public might suppose that his models were Spanish, they ought to know that Manet kept "Spanish costumes in his studio and liked their colors." 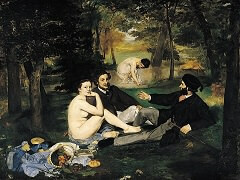 Many art critics note Manet's most important "error". He painted a right-handed guitarist playing an instrument strung for a left-handed player yet thought the "error" inconsequential and changed nothing when it was pointed out. He did remark, however, that he "had painted the head in one go" and that when "I looked at it in my little black mirror... it was all right. I never added another stroke." 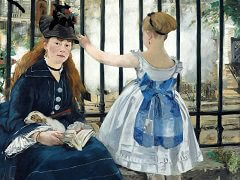 Why did the sharp-witted Manet mention the mirror and why would he be so cavalier about the incorrect guitar-strings? Remember two points we have discussed elsewhere: great masters never make mistakes in their important works and their minds, like ours, are a mirror of reality. Is it coincidence, then, that when The Spanish Singer is looked at in a mirror, the guitar-strings resolve themselves? The player becomes left-handed while still playing a guitar strung for a left-handed player. 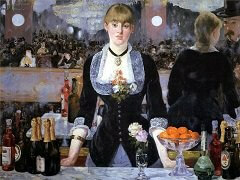 No-one has noted that before nor that The Spanish Singer, as an image of Manet's mind, mirrors reality.